Integration with Push topics and Padlock Pro Module – Can be used as smart user on boarding. After new signup user redirect to CUSTOM PROFILE Page to update his/her Profile. 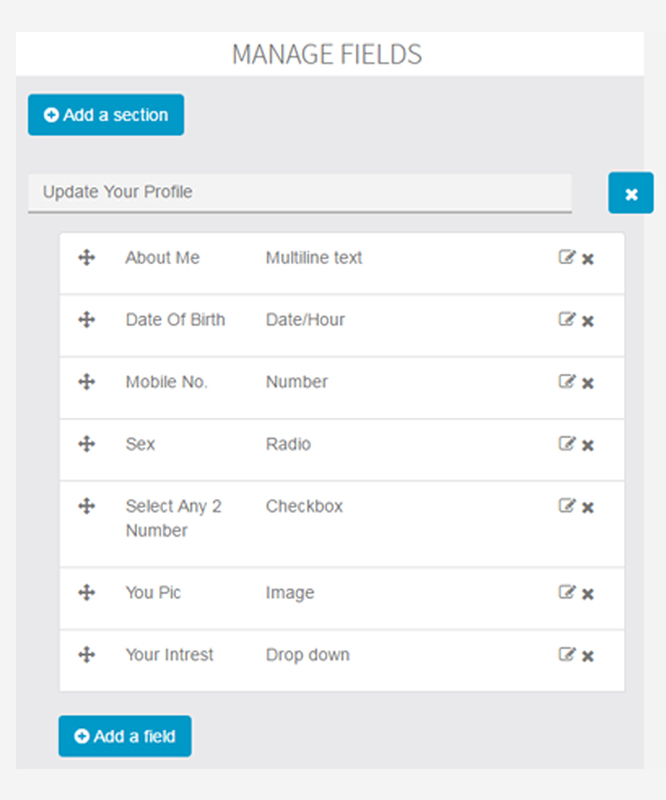 Old Created users will get redirected on login for the first time to fill in the profile detail. 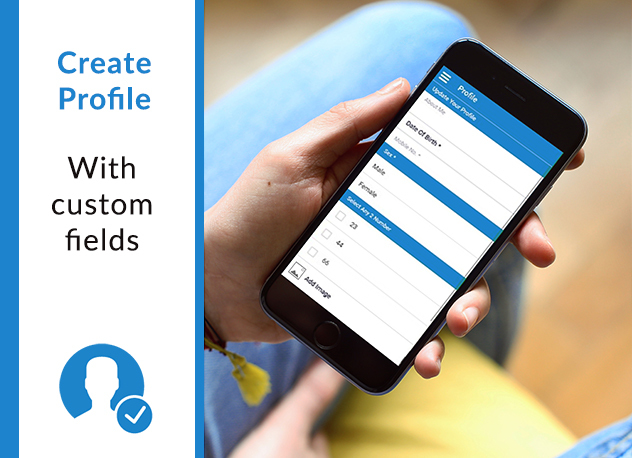 It locks the Profile page after signup to make it mandatory for customer to fill in at least required field mentioned by App admin. It’s an awesome module which can give real meaning to your customers data. 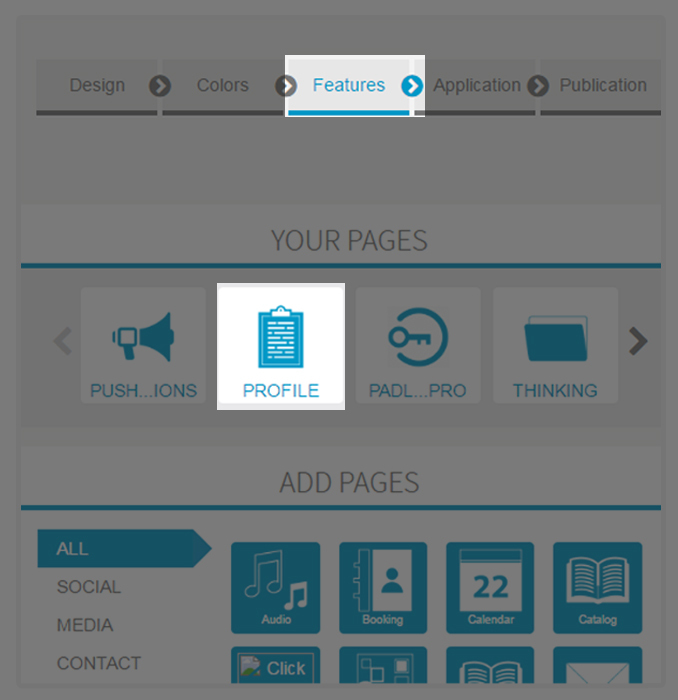 1.Go to Features, Select Profile Module. 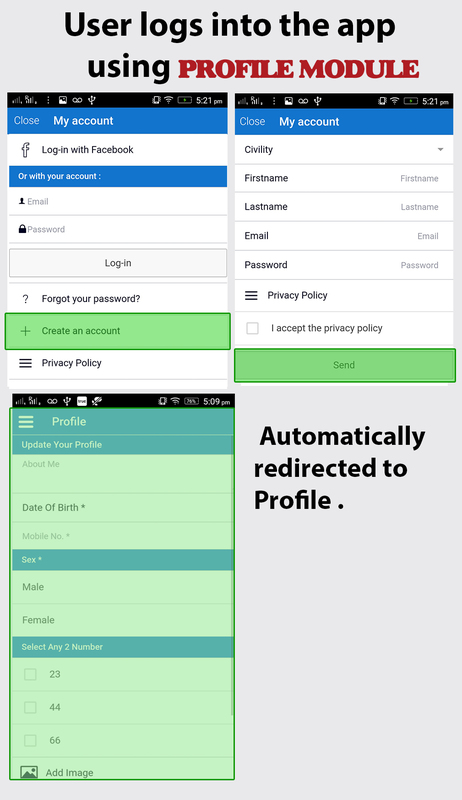 3.When user logs into the app using Profile Module he/she will be automatically redirected to Profile Page.